Jewellery and electronic items were stolen when burglars broke into a house on a Monday afternoon last month. 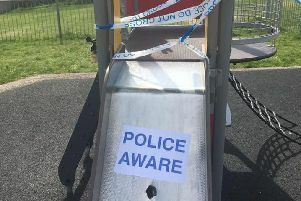 The incident occurred between 1.30pm and 4.25pm on Monday, May 15, in Lindon Road, Harpenden. · Various other jewellery items. PC Jody Perrin said: “Some of the items stolen are quite distinctive and I would appeal to anyone who thinks they may have come across them, or seen them advertised for sale, to please get in touch. Anyone with information is asked to contact the St Albans Local Crime Unit on the non-emergency number 101, quoting crime reference F2/17/935. Alternatively, contact the independent crimefighting charity Crimestoppers, anonymously, on 0800 555 111 or through their anonymous online form at www.crimestoppers-uk.org No personal details are taken, information cannot be traced or recorded and you will never need to go to court.